Sensitive audits present the tax practitioner with unique challenges. They require the exercise of judgment and discretion, as well as an understanding of administrative procedure and even a command of constitutional and evidentiary rules. At times, they may also require that the practitioner carefully balance duties to a client with their own ethical and legal obligations. Sensitive audits come in several forms. An “eggshell” audit, for instance, is a civil audit that has the potential to turn criminal. 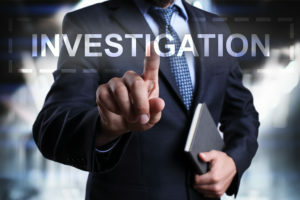 There are lurking issues—potential tax fraud or evidence of other legal violations such as money laundering or structuring—that the auditor may discover. A “reverse eggshell audit” involves a civil tax audit that is being conducted alongside a parallel criminal investigation. Sensitive audits may also involve undisclosed parallel investigations by other state or federal agencies. Such audits often raise a host of issues. For instance, should the taxpayer file an amended return to correct prior mistakes? What about the obligation to file a current year return while the audit is ongoing? When does the taxpayer have a valid privilege against providing certain information or documents, and what steps or events might inadvertently waive that privilege? What are the signs that a taxpayer may have been referred criminally? Eggshell audits often bring these questions and others to the forefront. The question of whether to file an amended return is one that frequently surfaces in the context of sensitive audits. The decision is one that should be analyzed carefully. An amended return filed after an audit or investigation has begun will not remove tax fraud that exists with respect to an original return, although in certain circumstances an amended return may be a factor that potentially militates against a criminal prosecution or helps show a lack of willfulness. An amended tax return, or any tax return for that matter, is a sworn statement filed by a taxpayer under penalty of perjury. It can therefore be used as an evidentiary admission against the taxpayer, perhaps even relieving the government of the burden to produce other (more difficult to obtain) evidence that may be necessary to successfully bring a criminal case. What about returns that come due during an audit? A pending audit or even a criminal investigation does not excuse a failure to file a current return, even where that return would require disclosures that make it clear that a prior return that is under audit was not filed correctly. It is a crime to willfully fail to file a tax return, and tax representatives have an ethical obligation under Circular 230 to advise a client of this requirement and the potential penalties for failing to do so. As a practical matter, it will often be advisable to obtain an extension of the deadline in order to buy time and to learn more about the focus of the audit. In some circumstances, a taxpayer may need to file a so-called Fifth Amendment return, a tactic that must be approached carefully. In doing so, taxpayers cannot, for example, make a blanket Fifth Amendment claim over their entire return, but instead must assert the privilege on an item-by-item basis. A failure to properly file such a return may compound existing problems, potentially subjecting the taxpayer to “frivolous return” penalties or even criminal prosecution for willfully failing to file a return. Sensitive audits inevitably involve the potential for parallel proceedings, which raise unique concerns. Courts have developed guidelines to police the IRS in this context, particularly when it conducts parallel civil and criminal tax investigations. Perhaps the seminal case in this arena is United States v. Tweel. Under that case and its progeny, simultaneous civil and criminal audits are not prohibited. Nor does the government have any outright duty to inform a taxpayer that matters arising in a civil audit could be used in a criminal investigation. At the same time, however, the IRS may not use its civil arm to conduct or further a criminal investigation and employ “deceit, trickery or misrepresentation.” That means, for instance, that an auditor cannot lie when asked if he or she has made a criminal referral or whether a parallel criminal investigation is ongoing. Violations of this rule—so-called Tweel violations—can lead to the suppression of evidence on Fourth Amendment grounds. One of the first steps in properly handling a sensitive audit is to assess and ensure the preservation of the privilege. Does the client, for example, have information or possession of documents that could expose the client to criminal sanctions? If so, that information needs to be assessed and steps should be taken to avoid a waiver of the privilege. Taxpayers faced with an audit interview may need to consider invoking the privilege with respect to questions that would elicit incriminating responses. Where the IRS seeks documents that contain incriminating information (or where their very existence may prove incriminating), the act-of-production privilege may protect a taxpayer from being compelled to produce the documents. At the same time, the applicability of countervailing doctrines, such as the required records doctrine or the “collective entity” doctrine, should also be analyzed. Practitioners and their clients should carefully vet the risks and benefits of asserting a privilege, as well as the proper manner for doing so. In the process of vetting sensitive issues, such as the very existence of a privilege, practitioners should be careful to ensure that those discussions themselves are privileged, lest the practitioner inadvertently convert him or herself into a key witness against the client that can be compelled to disclose the content of those discussions. Many an accountant has been compelled to provide documents and testimony against their client because communications that they believed to be privileged were, in fact, not. For example, United States v. Spencer, 700 F.3d 317 (8th Cir. 2012) presents a case where the accountant-CPA was required to testify against his client at the client’s criminal trial. As a matter of risk management, practitioners handling sensitive audits should have a firm grasp of the limits of the accountant-client privilege. There are many misconceptions about the scope of the federal accountant-client privilege under Section 7525 of the Internal Revenue Code. In fact, many are not aware that the accountant-client privilege is not available where is needed most: It does not apply in criminal proceedings. Nor, for that matter, does it apply in other proceedings outside the federal tax context—for example, divorce, SEC, or even state tax proceedings. In fact, courts have held that it does not even apply to communications engaged in for the purpose of preparing a tax return, raising the question of what exactly it does protect. Against this background, care must be taken to protect communications about sensitive matters. Despite the extremely limited scope of the federal accountant-client privilege, an accountant can often be cloaked with an actual common law attorney-client privilege through the use of a Kovel arrangement. Under United States v. Kovel, the federal case that lends its name to the arrangement, an attorney may engage an accountant to assist with the audit and thereby extend the more robust attorney-client privilege to the accountant. Where properly employed, this tool brings an accountant under the umbrella of the attorney-client privilege and protects accountant communications, helping to ensure that the accountant cannot later be compelled to testify against the client. Sensitive audits often create potential pitfalls for the representative themselves. The practitioner must always take steps to ensure that they abide by both governing ethical rules and statutes. For instance, a practitioner cannot make a false representation to an IRS agent, but at the same time may be prohibited from disclosing privileged information without the client’s consent. Practitioners who violate these rules (and others) risk disbarment from practice before the IRS or, worse yet, committing a federal crime themselves. Among the more commonly encountered criminal statutes that have been turned against practitioners in this context, Section 7206(2) of the Internal Revenue Code makes it a crime to aid or assist in the presentation of a false or fraudulent document. Similarly, Section 7212, a broadly-worded statute, makes it a crime to attempt to obstruct or impede the administration of the Internal Revenue laws. The government will use these provisions and others to bring criminal charges against practitioners where it believes a violation exists. Practitioners must therefore take all necessary steps to ensure that they abide by any governing rules throughout the proceedings. This requires a more concerted and proactive effort than may generally be necessary outside of the sensitive-audit context. When a field auditor uncovers indicators of fraud, IRS procedures require the auditor to meet with his or her group manager and, where the manager concurs, to initiate contact with a Fraud Technical Advisor (“FTA”). The FTA plays a central role in the development of potential fraud cases, and is involved in all cases with potential criminal fraud or civil fraud penalties. If the auditor, group manager and FTA agree that there is a potential for fraud, the auditor prepares Form 11661, Fraud Development Recommendation – Examination, the case is placed in fraud development status, and a fraud development plan is formulated. If an auditor subsequently identifies affirmative acts of fraud, the auditor is required to suspend examination activity without disclosing the reason for the suspension. Radio silence (or an auditor’s abrupt cancellation of a scheduled meeting or extended failure to respond) can thus imply a potential criminal referral. If criminal criteria are met, the FTA will ultimately recommend a referral to the IRS Criminal Investigation Division (“CI”), and the auditor will refer the case through the FTA to CI via Form 2797, Referral Report of Potential Criminal Fraud Cases. Shortly thereafter, the CI special agent assigned to the case will initiate a conference with the auditor, his/her group manager, the supervisory special agent, and the FTA to review the evidence gathered to support the charges. The conference will cover a number of issues that bear on CI’s decision whether to accept the referral, including the amount of the additional tax due, the flagrancy of the alleged violation, any public interest in the matter, and the deterrent effect that would be achieved from proceeding. Generally, within 30 days of this conference, the same group will confer again to discuss CI’s decision to accept or decline the referral. In developing fraud cases, auditors look for indicators of fraud—known as “badges” of fraud—to establish fraudulent behavior. Most fraud cases involve individuals and business taxpayers with poor or nonexistent internal controls or a lack of separation of duties, but tax fraud can occur in many contexts. While by no means an exhaustive list, some of the common “badges” or indicators of fraud that the IRS looks for include the following: Omitting specific items where similar items are included; omitting entire sources of income; an inability to explain substantial increases in net worth; inadequately explaining dealings in large sums of currency; dealings in cash; failing to file a tax return, especially for a period of several years, despite evidence of substantial amounts of taxable income; claiming fictitious or substantially overstated deductions; claiming substantial business expense deductions for personal expenditures; providing false or altered documents; keeping multiple sets of books; failing to keep adequate records; the existence of false book entries or alterations, back-dated documents, or false invoices; variances between the tax return and books; inclusion of income or deductions in the tax return of a related taxpayer when tax rate differences are a factor; the use of secret bank accounts; conducting business transactions in false names; making false statements; attempting to obstruct the examination; failing to make full disclosure; holding assets in the name of others; and a pattern of consistent failures to report income over multiple years. Again, this is only a partial list of the potential indicators of fraud that the IRS looks to, but where any such indicators exist, a taxpayer’s risk of criminal referral may increase. At all times during the audit, a practitioner should remain alert to signs that the civil audit may have “gone” criminal. The signs will vary depending on the context and the nature of the case. However, there are several indicators that have traditionally been signs that a potential referral may have taken place or may be imminent. For instance, where a revenue officer copies extensive documents or requests original documents rather than copies, these may be signs that the auditor is building the basis for a referral. If the agent focuses on “intent”-based questions, such as what the taxpayer knew or why certain items were deducted, this may also be a sign. Other signs include excessive interest or focus on sensitive transactions, efforts to obtain information from third parties that could have easily been obtained from taxpayer records, seeking to meet with the taxpayer more than once, requesting sworn affidavits from the taxpayer or third parties, conducting a large number of third-party interviews, and questions about the taxpayer’s lifestyle and financial status. Of course, a visit from a CI special agent is the ultimate sign that a civil audit has turned criminal. Sensitive audits require a unique skillset and knowledge base. In order to navigate the process and maximize a client’s prospect for success, the practitioner must be able to identify trouble spots ahead of time and assess any applicable procedural rights, as well as formulate an adaptive strategy. Throughout the process, the practitioner must be attuned to a host of subtle signs and clues, and be able to identify the opportunities to help steer the audit in the right direction. And, of course, along with a firm grasp of the background principles and administrative processes, the practitioner must fully understand, and always remain mindful of, their own ethical and legal obligations.